This kids might enjoy making this wiggly craft snake (a reptile). The directions suggest construction paper but we used paint. Directions for this snake are at DLTK's website. 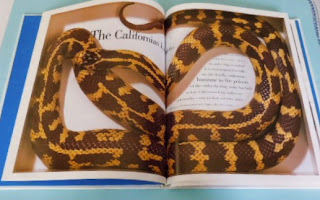 There are lots and lots of great snake books for kids that can be read before or after making the snake. Here is a small selection plus a couple of snake coloring books for kids. My copy of this book has received a lot of use with my students, especially the BOYS!!!! 4 page pull-out section - a bit tattered now from constant use! 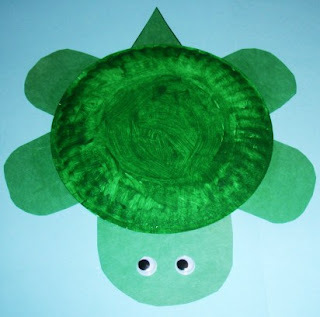 The kids might like to make this paper plate turtle (a reptile). 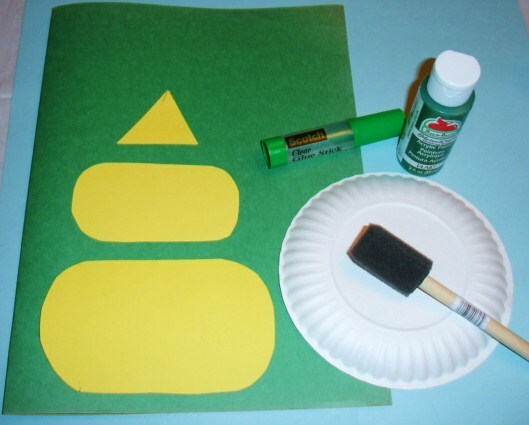 Have students paint or color the bottom of a small circular paper plate green. Allow paint time to dry. Glue the large oval (the head) and the 4 smaller ovals (the legs) plus the triangle (the tail) to the paper plate. Draw eyes on the head or glue on googly eyes. Get ready to read (or listen to) books about turtles. Some books about turtles that children might enjoying reading are listed below.